Hillary Clinton came out swinging Wednesday, ripping Russia for her November loss to President Trump and accusing the White House of colluding with Moscow in weaponizing technology to bring her campaign down. Clinton linked Russia’s interference in the 2016 elections to Trump and said she hoped investigators would be able to unmask a plot to interfere in the U.S. elections. Clinton described how a Russian-led misinformation campaign was launched against her using social media networks like Facebook that weren’t able to cut through the “fake news” circulated on the sites. She also didn’t hold back when asked who she thought was responsible for directing the Russians. “I’m leaning Trump,” she said. Clinton blames Trump, the Russians and sexism for her loss, but says the decisions she made are her responsibility. Clinton said she and her campaign repeatedly tried to bring up Russia’s interest in the U.S. election but said her claims were largely ignored. Clinton also took issue with a 2010 Supreme Court decision that opened up campaign spending. In the Citizens United v Federal Election Commission ruling, the justices ruled that political spending is protected under the First Amendment. The ruling made it legal for corporations, unions and special interest groups to funnel unlimited amounts of money to candidates – just as long as it was done independently. The high court decision led to a boom in super PACs. 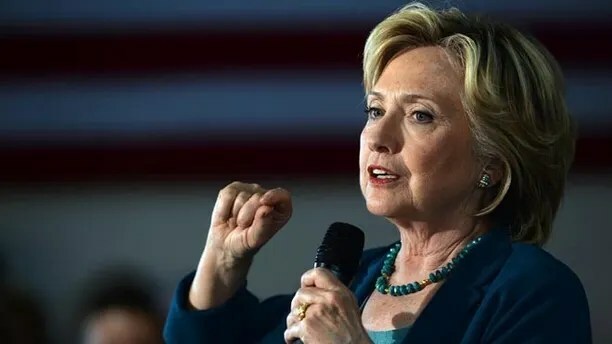 Clinton also claimed she was treated unfairly for accepting millions of dollars in speaking fees from Wall Street firms amid an increasingly competitive race with self-proclaimed “democratic socialist” Vermont Sen. Bernie Sanders and then Trump. inside the White House itself. about what the administration is doing, or not doing, they talk. MADISON, Wis. (AP) – Assembly Republicans moved closer to creating tougher penalties for University of Wisconsin student protesters Tuesday, advancing a bill that would suspend or expel students who disrupt speakers. The Assembly Committee on Colleges and Universities approved the bill on an 8-6 vote. This sends the bill to the Assembly floor, which hopes to take it up in June, said Kit Beyer, a spokeswoman for Speaker Robin Vos, who is also one of the measure’s co-sponsors. All six Democrats on the committee voted against the bill, warning it would chill free speech on campus and infringe on regents’ authority to govern their institutions themselves. “The very bones of this legislation are diseased,” said Democratic Rep. Jimmy Anderson. The proposal’s chief author, Rep. Jesse Kremer, said the measure is designed to safeguard democracy. “This bill is a good balance that will ensure everyone has the right to be heard and has the right to free expression on our college campuses,” he said. Under the bill, complaints from any two people about a UW System student’s conduct during a speech or presentation would trigger a hearing. Students found to have twice engaged in violence or disorderly conduct that disrupts another freedom of expression twice would be suspended for a semester. A third offense would mean expulsion. Complaints from any two people about the student’s conduct would trigger a hearing before a new UW Council on Free Expression. UW institutions also would be required to remain neutral on public policy controversies. 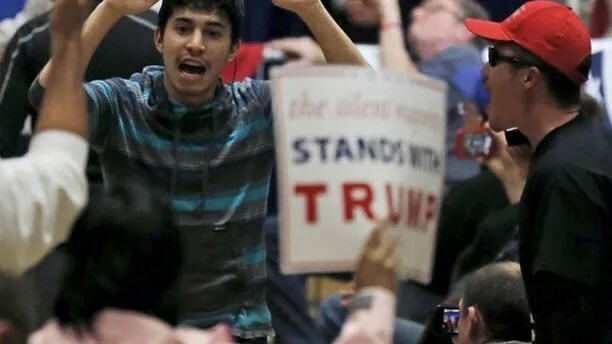 The measure comes as free speech issues have grown more contentious on colleges across the country, fostering concerns among Republicans that conservative speakers aren’t treated equally. UW-Madison students in November shouted down former Breitbart editor and conservative columnist Ben Shapiro. The University of California-Berkley canceled a speech by conservative firebrand Ann Coulter in April due to security concerns. Protests broke out at that school in February ahead of a planned appearance by former Breitbart editor Milo Yiannopoulos. And fights broke out at New York University last year after protesters disrupted a speech by Gavin McInnes, founder of a group called the “Proud Boys” and a self-described chauvinist. Conservative advocacy group Americans for Prosperity has registered in support of the bill. The League of Women Voters as well as PROFS, a group of UW-Madison faculty, and government watchdog group Wisconsin Democracy Campaign have registered in opposition. Committee Democrats decried the bill as unconstitutional and predicted it would open the door to political witch hunts. Partisan operatives will attend presentations in pairs so they can file the requisite two complaints against students they disagree with, the Democrats said. Kremer asked Hebl if he had a better idea. Hebl responded that he couldn’t see any way to make the bill better. Republican Rep. Travis Tranel told the committee he had heard from college students in his district that they’re afraid to express conservative views in class for fear the professor could dock their grades. Hebl and fellow Democrat Terese Berceau both cut him off, challenging him to prove his anecdote was true. Hebl accused Tranel of making things up without any evidence, comparing him to Joe McCarthy, the Wisconsin senator who claimed he had built a list of Communists within the federal government in the 1950s. Tranel said he could think of three individuals who had told him they were afraid to speak out in class. “I couldn’t even get my comments out today without being interrupted,” Tranel said. A German weapon collector has been arrested after a crate of World War II grenades exploded his garage, reportedly throwing objects more than 30 feet into the air. Firefighters arriving at the man’s home in Hennef on Monday found more ammunition going off as they tried to put out the flames, the BBC reported. The 51-year-old owner, who was not identified, told police that he had bought the grenades at a flea market. Police were quoted in German media as saying they believe the grenades were triggered by warm temperatures. No one was hurt in the incident and reports suggest the blast sent objects up to 32 feet in the air, the BBC reported. The collector is facing possible weapons charges and bomb removal experts were called in to destroy the remaining grenades in a field. Democrats are banking on Trump fatigue and discontent with the GOP-led Congress as they vow to compete in 79 House races next year, but the ambitious plan to retake the chamber will also require a big dose of cash. Capitol Hill Republicans’ struggles with ObamaCare reform and the flood of negative news about the White House may give the Democrats an opening to win back the House. Needing to capture at least 24 net seats in 2018 to take the House, party leaders identified 59 potentially competitive races in January and 20 more last week. “No district is off the table,” New Mexico Rep. Ben Ray Lujan, co-chairman of the Democratic Congressional Campaign Committee, said at a press conference last week. Republicans have controlled the Senate since 2014 and won control of the House seven years ago in the same kind of midterm wave election Democrats are hoping to ride next year. Democrats missed a rare opportunity last year to retake the Senate, considering Republicans had to defend two dozen senators seeking reelection. But they’ve wasted no time this year trying to capitalize on the voter resentment from Trump’s upset victory over Democrat Hillary Clinton — holding town hall events in which they question Trump leadership and argue that millions of Americans will lose their health insurance under Republicans’ ObamaCare repeal-and-replace efforts. New York Rep. Joe Crowley, who leads the DCCC with Lujan, said at the press conference last week on Capitol Hill that Dems are eyeing even more seats. “The number in play is (really) well over 80,” Crowley said. He also said the group has more than 350 candidates lined up for the races and is targeting such high-profile GOP incumbents as Fred Upton, of Michigan; David Brat, of Virginia; and Arizona’s Martha McSally, considered a rising star in the party. Brat, a member of the House Freedom Caucus, the chamber’s most conservative wing and major ObamaCare critic, is seeking a third term representing Virginia’s 7th congressional district, which has voted Republican for nearly a half century. Still, the possibility that Democrats could ride public opposition to ObamaCare reform is not unfounded. After the House passed its Obama Care overhaul bill in earlier this month, the nonpartisan Cook Political Report downgraded the likelihood Republican winning in 20 House races next year. “Not only did dozens of Republicans in marginal districts just hitch their names to an unpopular piece of legislation, Democrats just received another valuable candidate recruitment tool,” wrote Cook’s expert on House races, David Wasserman, who also suggested early signs of a wave election. Lujan said last week that competing in the Midwest will be a big part of the DCCC’s plan, following criticism last year that the party has long overlooked once-loyal voters in those states. Lujan also attempted to downplay Democrats having yet to win a 2017 special House election, amid so much purported enthusiasm. He argued Washington Republicans have had to spend tens-of-millions to defend several “deep red seats” already this year and expressed measured optimism about Democrats next month winning the House seat in Georgia left open when GOP Rep. Tom Price become secretary of Health and Human Services. “The very nature that we’re even having a conversation about these seats ought to concern them,” Lujan said. A Malaysia Airlines flight flying from Melbourne, Australia was forced to turn back Wednesday after a disruptive passenger attempted to enter the cockpit, the airline said. MH128 departed from Melbourne Airport at 11:11 p.m. (9:11 a.m. ET), but returned less than an hour later after the captain alerted the crew that a passenger was trying to enter the cockpit, the airline said in a statement to Fox News. The plane was headed to Kuala Lumpur. The plane landed at 11:41 p.m. at Melbourne airport without incident. The passenger was detained by airport security, according to the airline. No one was injured. Flight MH128 was scheduled to land in the Malaysian capital at 5:28 a.m. Thursday (local time). Unable to take the originally scheduled flight, passengers were rebooked on the next available Malaysian Airlines flight out of Melbourne and offered hotel accommodations. “Malaysia Airlines would like to stress that at no point was the aircraft ‘hijacked,” the airline said. Australian authorities and Malaysia Airlines are investigating the incident. Police are investigating after someone spray painted a racial slur on the front gate of LeBron James’ home in Los Angeles on the eve of the NBA Finals. It happened Wednesday morning in the Brentwood neighborhood. Capt. Patricia Sandoval, a spokeswoman for the Los Angeles Police Department, tells The Associated Press that James wasn’t home at the time. She says the property manager told officers they believe the incident was captured on surveillance video. Police are investigating it as an act of vandalism and a possible hate crime. Sandoval says someone painted over the slur before officers arrived at the home to investigate. A representative for James declined to comment. James and the Cleveland Cavaliers play the Golden State Warriors in NBA Finals beginning Thursday night, with Game 1 in Oakland. Residents in a Texas City neighborhood are upset after KKK fliers were found on their lawn in small bags of candy over Memorial Day weekend. “They’re advertising to join something like that and it’s – we’re not that kind of a neighborhood,” said resident Josie Ramos. Ramos did not find one of the bags on her lawn but says she is frightened that such messaging was being shared in her area. Click here for more from Fox 26. Ten people were arrested and charged in Mexico City for allegedly distributing drugs disguised as UberEats delivery guys in some of the city’s most fashionable and artsy neighborhoods. In the operation, which involved some 200 agents, authorities raided a warehouse and confiscated approximately 660 pounds of marijuana. UberEats is a Uber application that allows users to order food from a cell phone. Depending on the city, people can sign up to deliver food orders using their car, bike, scooter, or on foot. The false delivery men netted in Mexico City rode bicycles carrying the distinctive UberEats bags to go unnoticed. According to police, the alleged dealers easily bought the bags online and targeted the Zone Rosa, Polanco and La Condesa, which is home to many foreigners. Uber issued a statement denying any responsibility and making the company available to the justice system. UberEats started operations in Mexico City in October of last year, with more than 500 restaurants affiliated to the service. Top-ranking members of the Lucchese crime family – including ruling boss Matthew Madonna and his second-in-command Steven Crea Sr. – were busted Wednesday on federal racketeering charges, including murder, authorities said. Madonna and underboss Crea Sr., aka “Wonder Boy,” as well as consigliere Joseph DiNapoli, and four others – Steven Crea Jr., Dominic Truscello, John “Big John” Castelucci and Tindaro “Tino” Corso – who served as captains or acting captains were among 19 charged in a superseding indictment unsealed Wednesday. Soldiers Joseph Venice, James “Jimmy the Jew” Maffucci, Joseph “Big Joe” and “Joey Glasses” Datello, Paul “Paulie Roast Beef” Cassano, Christopher Londonio and several others were also nabbed. The crew of goodfellas was allegedly behind the 2013 murder of Michael Meldish, a former leader of the notorious Purple Gang, who did jobs for the Lucchese and Genovese families. The mobsters, most of whom are Lucchese, are also accused in court papers of attempting to kill an unnamed member of the Bonanno crime family in 2013 who had offended Crea Sr. and trying to rub out a former witness last year.